(2019 April 12): Response to a reader’s Question on the root (the origin) of “information” in the universe. Response to a reader’s Question on the extraction of energy from aether. (2019 March 30): Currently two articles are undergoing peer-review and another one is being prepared. (2019 March 20): Article revealing how energy is extracted from nonmaterial aether has just been published in the current issue of INFINITE ENERGY Magazine. See the Press Release (2019 March) for details. (2018 December 28): See Press Release: Unprecedented Unification of Gravity Theory. (2018 December 1): Unification-of-gravity paper has been accepted for publication. (2018 November 22): Here we go again! Latest paper rejected. Reason? “The paper contains too many acronyms …” How many? Hey! It contains only one well-known acronym (DSSU)! Fan of DSSU comments on the “train wreck” of modern physics and on big bang mythology. (2018 September 1): PUBLISHED: Natural Mechanism for the Generation and Emission of Extreme Energy Particles, Physics Essays Vol.31, No.3, pp.358-376 (2018). (2018 August): Press Release (2018 August): "The mechanism driving astrophysical jets has been discovered"
■ Journal 1: peer reviewed, no errors in the logic, no flaws in the science, tentative ACCEPTANCE, then REJECTED ! ■ Journal 2: peer reviewed, no errors in the logic, no flaws in the science, REJECTED ! ■ Journal 3: peer reviewed, “This is a scholarly and erudite article that deserves to be published in recognition of its tutorial nature and … the validity of the author’s proposals.” ACCEPTED for publication. (2018 May 24): Two papers are currently under review. Meanwhile, work has begun on a new research paper ---delving deeper into the amazing properties of aether. Question: What drives astrophysical jets? This has been one of the biggest mysteries of the universe —one that has baffled the academic cognoscenti for decades. The answer will be revealed in the next research article, which is currently under review. And as the followers of DSSU theory have come to expect, the answer is perfectly natural; the concepts are straightforward, the arguments logical, the conclusions compelling, the implications profound. (2018 February 1): Research paper Sachs-Wolfe Effect Disproof has been published in in the International Journal of Astrophysics and Space Science. Abstract & links. (2017 December): Comment posted: Galaxy age misinterpretation. Does cosmic distant have any relationship to a galaxy’s age? (2017 Sept): Recently brought to my attention: DSSU material appears on The New Illuminati website accompanied by some amazing graphics. (2017 Sept): "Assorted Comments" added to QuestionsAnswersComments. (2017 July): The book The Nature of Gravitational Collapse is now available. —Reveals the truth about stellar and supermassive black holes. First printing details (Lambert Academic Publishing). (2016 December): “So easy to understand” comment from an Australian engineer. (2016 November): “Large-Scale Structure of the Dynamic Steady State Universe” now published in the American Journal of Astronomy and Astrophysics, Vol.4, No.6, 2016, pp.65-77. Astract and Links to HTML and PDF. —Another major DSSU success, as it reveals amazing new insights! The theory has uncovered the mechanism by which mass undergoes a total conversion to energy. Yes, a mass to energy conversion with 100% efficiency! As everything else in the DSSU, it is a perfectly natural process. Truly amazing! (2016-4-26): A mathematical cosmologist claims the values of the Hubble-expansion parameter and the cosmic-background temperature are the most important elements for understanding the real Universe! Letter and response. Be aware of the distinctions among the terms commonly applied to aether: Terms such as physical, mechanical, subquantum, and dynamic. Link to new Question & Answer. 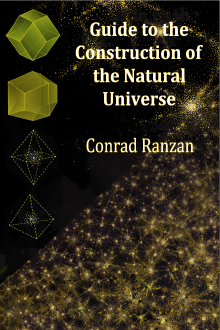 The book, Guide to the Construction of the Natural Universe, is now available at the Niagara Falls Public Library (Victoria branch). If you live in the Province of Ontario, your local library can request the book from the Niagara Falls Public Library. Participate in a unique exploration of the Cosmos: venture into the sub-atomic realm, even into the sub-quantum realm where the roots of reality reside, and into the domain of cosmic-scale cell-structure and beyond to infinity. Along the way, discover the cause of mass, the cause of gravitation, and rediscover Einstein’s “nonponderable” aether and Heraclitus’ harmony-of-opposites principle. 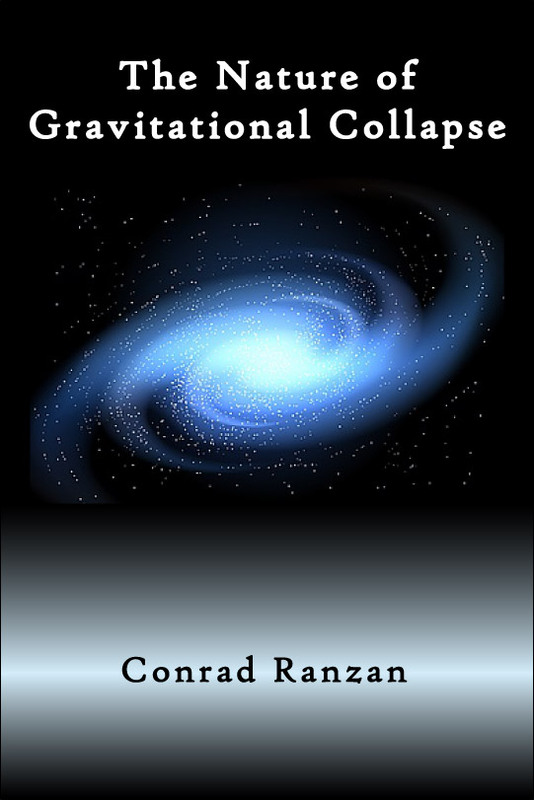 … The book represents the ultimate vindication for all the skeptics who resisted the "preposterous" Big Bang mythology and who refused to join the exploding-cosmos religion. Or use this mail-in Order Form. Do not be misled by the recent reports of the detection of gravity waves. What the LIGO apparatus measures is the interference from beams of self-generated electromagnetic waves. It seems highly probable that what LIGO actually detected was some vibrational “noise” or some unexplained interference; and NOT gravity waves originating from a distant binary system (in which two extremely massive black holes are supposedly in the process of merging). How the data, the wave patterns, are interpreted is subject to theory and restricted by theory. Naturally the official interpretation must conform to the Officially-sanctioned theory of gravity —Einstein’s general theory of relativity. Thus, the light patterns recorded by LIGO are interpreted via Einstein’s mathematical concept of gravity. The problem is the general-relativity-gravity interpretation, as is well known, ignores the space medium! Have gravity waves really been detected? Think about this: The academic experts do not have the cause and mechanism of gravity (Isaac Newton did not, Albert Einstein did not, and today’s big-bang astrophysicists do not). Their theory of gravity is embarrassingly incomplete! So, if they do not yet understand the nature of gravity itself, how then can they claim to be able to recognize the waves that gravity supposedly emits? The experts cannot even answer the simple question: Specifically, what is it that is waving? What is waving back and forth? Olbers’ Paradox Resolved for the Infinite Non-Expanding Universe, American Journal of Astronomy & Astrophysics Vol.4, No.1, (2016 January). Abstract & download links. ● Explains how “an infinite, non-expanding, perpetually regenerating universe" is able to predict a dark night sky. The Big Bang is no longer a viable hypothesis ! "DSSU Validated by Redshift Theory and Structural Evidence", Physics Essays, Vol.28, No.4, pp.455-473 (2015 Dec) —Delivers the coup de grâce to the Big Bang. Abstract & Links. Both Reviewers enthusiastically endorsed this "well-written and incisive article." (2015-Oct 6): Webpage added for article Cosmic-Redshift Distance Law Without c Without H: –Comments & Links– Describes the challenge of getting DSSU papers published. (2015 Aug): The article The Universe Is Infinite (Part 1) has been revised. (2015 July): Comments and questions from a 14-year old student. After 50 long years of searching, Physicists claim to have detected the Higgs boson, the "particle" that ostensibly bestows the property of mass on all other such particles. Is it now time to celebrate? … Definitely not. The question now is this: If the Higgs ‘particle’ is the giver of mass to all other particles, what then gives the Higgs itself its mass?! (Yes, the newly discovered particle has mass, lots of it!) A difficult and embarrassing question indeed. It is like asking: If God created everything, then who, or what, created God? While physicists think they have solved the mass problem, the reality is that they have unwittingly exposed an even bigger problem —the riddle of “First Cause”. The Nature of Gravity –How One Factor Unifies Gravity’s Convergent, Divergent, Vortex, and Wave Effects –Published in the International Journal of Astrophysics and Space Science, Vol.6, No.5, 2018. "The Nature of Gravitational Collapse"
"DSSU Validated by Redshift Theory and Structural Evidence" published in Physics Essays, Vol.28, No.4, p455-473 (2015 Dec). Abstract. • Amazingly, the mechanism that stretches galaxies turns out to be the very same mechanism that causes the cosmic spectral redshift! Glossary of Terms used in Cosmology and Astrophysics with particular emphasis on DSSU theory. Critique of Conventional Cosmology ... comments relating to the 'preposterous' expanding-universe paradigm. Bafflement —the remarkable admission of a physicist. Models of the Universe —Historical, Expanding, and Cellular universes. INCLUDES A USEFUL TABLE FOR COMPARING THEORIES. The Universe Is Infinite (Part 1) —overcoming a "central" problem of cosmology theories. The Universe Is Infinite (Part 2) —an explanation of how the universe can always have existed and will always exist. DSSU, The Non-Expanding Universe: Structure, Redshift, Distance —A long sought-after goal of astrophysicists has been a formulation of cosmic distance that is independent of the speed of light. The goal has now been achieved. The present Paper details the surprisingly simple distance expression and its validating agreement with Supernova data. Gravity and Lambda —A Story of Opposites (.htm) —A story of opposites in harmony. Key differences between the Conventional Cosmology and the New Cosmology are presented. Dynamic Cosmic Cell —The Structural Component of the DSSU —Animated image and discussion of the self-sustaining, self-balancing system. DSSU Validated by Redshift Theory and Structural Evidence, Physics Essays, Vol.28, No.4, p455-473 (2015 Dec) —Delivers the coup de grâce to the Big Bang. Abstract & Links. The Dynamic Steady State Universe. Cosmic Redshift in the Nonexpanding Cellular Universe ( Journal links ) —details the actual causal mechanism. Published in the American Journal of Astronomy & Astrophysics, Vol.2, No.5 (2014) Abstract. Local copy with quality images: (Reprint pdf). • Remarkable agreement with independently established redshift distances. Large-Scale Structure of the Dynamic Steady State Universe published in the American Journal of Astronomy and Astrophysics, Vol.4, No.6, 2016, pp.65-77. Astract and Links. ■ Presents the first 2 of the 4 main postulates that define the DSSU. ■ Space-medium expansion and contraction are perpetually held in balance, thus ensuring a non-expanding universe. ■ Explains how the two dynamic processes of the DSSU’s space medium sustain the cellular structure responsible for the pattern of matter distribution in our Universe. Cosmic-Redshift Distance Law Without c Without H –Comments & Links– Simplifying the redshift-distance formula by removing the speed-of-light constant and the Hubble parameter —while maintaining agreement with observational evidence. Cosmic Core website: Lavishly illustrated. Includes many articles discussing DSSU theory and cosmology. Noteworthy video of a simulated cellular universe. The nodal galaxy structures are quite interesting. Theoretical Foundation and Pillars of the DSSU (Introduction) —This introductory essay gives a thematic tour of historical and modern universes culminating with the Natural Universe. Currently undergoing revision and updating: Theoretical Foundation and Pillars of the Dynamic Steady State Universe —The first complete presentation of all four postulates of DSSU theory. A powerful paper that resolves the cause-of-causes paradox, explains the non-independent nature of time, and reveals the 'supreme advantage'. It includes a concise comparison with standard cosmology focusing on real-world viability. A "Conceptual Unification of Energy, Mass and Gravity"
Space Flow Equations and Expansion-Contraction Rates (pdf) —This paper explores the mathematical aspects of the two space postulates of DSSU theory —and uncovers some profound consequences. Documentary movie footage in which Einstein states, "There exists an aether"
The Aether Experiments and the Impact on Cosmology —Aether was detected first in 1887 and then several more times during the 20th century. Its 21st–century "rediscovery" (in 2001) led to the long-sought causal mechanism of gravity —a discovery which, in turn, is revolutionizing cosmology. Michelson-Morley and the Story of the Aether Theory —Richard Milton's analysis of the historical details involving the misrepresentation, bias, and cover-up that hampered the Aether theory. Relativity of Time in the Aether-Space of the DSSU —How intrinsic time and relative time are related. Physical Nature of Length Contraction —the DSSU Theory of Length Contraction Induced by Absolute Motion. An easy to follow examination of how the mode by which matter is “conducted” through luminiferous aether causes the matter to contract. A simple derivation of the mathematical expression for this physical phenomenon is presented. There is also a brief discussion of relevant historical aspects and of nonphysical length contraction. Reviewer's comments: “This is amazing …” “The paper is interesting …” –Applied Physics Research reviewer. Published in Applied Physics Research journal Vol.5, No.1 (2013 Feb). Contradiction Divides Two Aether Theories —An exploration into the three parts of the speed-of-light postulate. Here is an external webpage with an extensive list of research papers on the aether-drift experiments, and the larger question of energy in space. DSSU Cosmic Redshift-Distance Relation (htm) —Converting the cosmic redshift into distance for our Cellular Universe using a simple and elegant equation. Large Scale Structure of the Dynamic Steady State Universe (pdf) How a dual-dynamic space medium sustains the cellular structure (published in AJAA in 2016). —Presents the postulates and implications of regional space-medium expansion and contraction. The Cosmic Background Radiation in the DSSU —The natural explanation of the microwave background radiation applicable to the natural Cellular Universe. Ellipticity, Its Origin & Progression in Comoving Galaxies, American Journal of Astronomy & Astrophysics, AJAA, Vol.3, No.2, 2015. HTML version available from AJAA here. The Processes of Gravitation –The Cause and Mechanism of Gravitation by C. Ranzan –A revolutionary paper on gravity published in J. Mod. Phys. Appl. Vol.2014:3 (2014). (Abstract & Reviews & Links. Includes link to hi-resolution PDF) "Revolutionary". This is the cure for the fallacious belief in cosmic-scale Dark Matter. The Story of Gravity and Lambda –How the Theory of Heraclitus Solved the Dark Matter Mystery (Color version) –Ranzan Considered "an excellent contribution to the [PE journal]" --professional reviewer (2010). Extended Relativity –Exploiting the Loopholes in Einstein's Relativity. A Logical extension of special relativity. Reprinted by permission of PEP, from Physics Essays Vol.25, No.3 (2012 Sept). Local copy: The Three Components of the Speed-of-Light Postulate (pdf): Absolute vs relative. Variance vs invariance. Another instance of the Heraclitian "Harmony of Opposites." (Reprinted by permission of PEP, from Physics Essays, Vol.26, No.1, 2013). Resolving a Paradox in Special Relativity –Absolute Motion and the Unified Doppler Equation. Published in Applied Physics Research journal Vol.5, No.2 (2013 May). LOCAL COPY: Restoring the Physical Meaning of Energy —distinguishing between the apparent energy and the real energy of moving mass. A devastating Declaration of opposition to Big Bang cosmology signed by more than 400 Researchers. This website is mainly concerned with revisionism in cosmology. Those of us involved in replacing the unnatural expanding-universe paradigm are aware of the difficulties involved. DEDICATION: This website is solemnly dedicated to those individuals who have conducted research in their chosen field and have informed others of their inquiries and suffered the consequences when subpoenaed by the Inquisition or some variant thereof. The dedication extends to those individuals currently imprisoned, and those facing trial and persecution simply for exercising their basic human right of freedom of expression supposedly granted to them under the UN Charter of Human Rights. "Every year, hundreds of writers and other literary professionals around the world are imprisoned, prosecuted, persecuted, attacked, threatened, forced into exile or even murdered as a result of their work." ALSO: Be aware of the continuing threat to our precious freedom of expression on the Internet. The threat is serious and relentless. It is described as “… the formal effort to mimic Communist China’s system of Internet censorship.” See The Secret Behind SOPA (2012-Jan). Update. 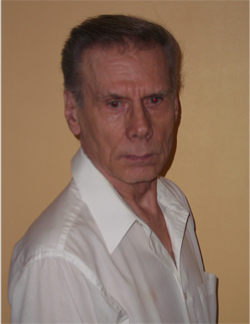 Reporter-journalist Arthur Topham, Canadian victim of the Inquisition, arrested (2012) for posting his research. “Arthur Topham faces prison time for daring to speak his mind on his own website, as he faces criminal charges under Canada’s hate crimes legislation contained in Section 318 - 320 of the criminal code.” –Rights and Freedoms Bulletin Issue No. 204 Feb 7, 2015. VERDICT: Arthur Topham found “guilty” AND “not guilty” of hate speech by a brain-dead jury! Free-speech crusader Bill Whatcott defies British Colombia Human Rights Tribunal efforts to impose gender language tyranny. A hostile jury, by a hasty unanimous verdict, decided that Nationalist Leader Jez Turner deserves to be sent to jail for his critical views! Report (2018-5-15). ■ Freedom advocates, such as Marc Lemire, are censured for merely expressing their reasoned opinions. Freedomsite, whose motto is “Fighting for freedom against the censorship enforcers”, documents the official persecution. ■ A tenured professor has lost his position for revealing his research and views on history. This is unprecedented. Professor Anthony J. Hall at the University of Lethbridge, Alberta, has been suspended (2016 October 5) without pay. ■ A publisher/editor, for expressing his reality-based views, has been denied postal services. Dr. James Sears, publisher and editor of Your Ward News was stripped of Canada Post Mail Service by government order (2016 June). ■ A violin teacher and truth revealer, Monika Schaefer, for posting a video (an apology to her dead mother), has been attacked by various so-called community leaders. While the invasion continues, the “guardians” of the nation are busy suppressing the freedom of expression: going after deemed violations in what people think and write and say. ■ The "justice" system is being used to suppress opinions: In a legal battle (2018) for freedom of speech in Canada ... the prosecution and silencing of Dr. James Sears expected to cost taxpayers $20 million! Updates are posted at www.yourwardnews.ca . This amazing 89-year-old woman continues advocating under the dictum: "Only the truth will set you free”. Mrs. Haverbeck, along with her late husband, founded the education facility Collegium Humanum in 1963, but which was banned by the Marxist thought police in 2008. UPDATE (2018-5-16): Ursula Haverbeck will celebrate her 90th birthday in a German prison cell. The sprightly grandmother is now serving a two-year prison term without parole merely for stating a sincerely held opinion that is supported by acclaimed academics worldwide!! 18th year on the Internet. Contrary to the Einstein assumptions, absolute motion is consistent with relativistic effects, which are caused by actual dynamical effects of absolute motion through the quantum foam, so that it is Lorentzian relativity that is seen to be essentially correct. The symbols u, uA, and uB represent collinear velocities or velocity components; c is the speed of light. The absolute motion of reference frame “A” is given by uA, and the absolute motion of reference frame “B” is given by uB. And the relative motion between them is u. (iii) links any Einstein special relativity (ESR) expression to an aether-referenced equivalent equation. Our interest is focused on purpose (iii). To make the conversion from an Einstein abstract-space equation to an aether-space equation we simply substitute the above expression and do the algebra. First we’ll convert the commonly used Lorentz factor. Flowchart 1. Lorentz factor (gamma, γ)conversions. To go from ESR to DSSU the procedure is to substitute the conversion equation. To go from DSSU to ESR the procedure is as follows: Observer in frame A considers himself motionless, thus uA is replaced by zero. Then the motion of frame B becomes the relative motion; and so uB is replaced by u. Note that γA and γB are intrinsic Lorentz factors (1− (uA /c)2)−1/2 and (1− (uB /c)2)−1/2. When converting the aether-referenced Lorentz factors, γA and γB, use the same method stated in the caption for Flowchart 1. Change the velocities from ‘absolute’ to ‘apparent’ (or relative). That is, change the velocities for A and B from aether-referenced to observer-referenced. Flowchart 2. Time dilation (clock slowing) equation conversions. To go from ESR to DSSU the procedure is to substitute the conversion equation. To go from DSSU to ESR the procedure is as follows: Observer A considers himself motionless, thus uA is replaced by zero. Then the motion of frame B becomes the relative motion; and so uB is replaced by u. The expression ∆to is the proper time measured from within the particular clock's own reference frame. Observer A “sees” that observer B’s time as being dilated. In other words the relatively moving clock appears to run slower. Note that the gamma factor (γ) is always greater than unity. However, the difference between γ and 1 is not significant unless the velocity is greater than one-tenth the speed of light. Flowchart 3. Length contraction equation conversions. To go from ESR to DSSU the procedure is to substitute the conversion equation. For the procedure for going from DSSU to ESR, see the Flowchart-1 caption. The conversion also applies to the various gamma (γ) factors as detailed for Flowchart 1. The velocity transformation equation, shown in Flowchart 4, is also known as the relativistic law of addition of velocities. It transforms an apparent velocity u′ within one frame, say B, into an apparent velocity u for an observer in the other frame (relatively moving frame A). Simply put, if an observer B measures the speed of some object to be u′ then observer A will find the speed of the same object to be u.
Flowchart 4. Velocity transformation equation conversions. To go from ESR to DSSU the procedure is to substitute the conversion equation. For the procedure for going from DSSU to ESR, see the Flowchart-1 caption. What is significant about the DSSU expression is that the transformation of an apparent velocity/speed (apparent speed u′ into apparent speed u) is accomplished by the use of absolute motions. p = m u . When the velocity magnitude is a significant fraction of the speed of light, rest mass m must be replaced by the relativistic mass, expressed as γmo. The expression for relativistic mass is a mathematical consequence of the Lorentz transformation and the law of conservation of momentum. The relativistic kinetic energy of a particle (or mass) is defined as the difference between the total energy, and the rest energy. Absolute motion was first detected in the year 1887 by Albert Michelson and Edward Morley. It was a pioneering attempt to measure the Earth’s motion with respect to the aether that pervades the universe and fills all space. There are two known methods for measuring absolute motion (its magnitude and direction). One is the traditional method (based on a 2nd order effect of u/c); the other is a comparatively new method (based on a 1st order effect of u/c). The first method is the gas-mode Michelson optical interferometer and dates back to 1887. It is a cumbersome method that measures an extremely weak effect (an effect that has often been misinterpreted). The second method is the detection of a speed anisotropy associated with radio-frequency transmissions (beamed or cable-conducted). It involves measuring the time difference of transmissions along a cable (or through air or space) in opposite directions. The idea is to measure the one-way transmission time, say in the north-to-south direction, between transceiver stations, and then to compare it with the transmission time for the south-to-north direction. The Roland De Witte Experiment of 1991 was of this kind. The magnitude of the difference varies as the Earth and ‘apparatus’ rotate with respect to the celestial sphere; the variation with direction provides a map of the anisotropy. What About the Cosmic Absolute Reference Frame? What about the well-known absolute frame of reference provided by the CBR —the frame in which the CBR is isotropic)? ... This frame is highly useful for referencing cosmic scale motions, such as the drift of galaxies and other astronomical objects —and even the flow of aether-space itself ! But it has no practical use in special relativity. The reason is that relativity (whether ESR or DSSU) applies to ‘local’ motions only. It applies to local motion only, because Relativity Theory is dependent on what local aether-space is doing (how it is moving) —in Einstein’s version, of course, it depends on what local abstract-space is doing (how it is curving/distorting). How Important is Absolute Motion? It turns out that absolute motion is the very cause of relativistic effects —both apparent and intrinsic. Absolute motion is what determines observer-dependent effects as well as observer-independent effects.